Meaning they are single use, when you tighten them down they deform, so you can't effectively reuse them. I know what Torque to Yield means. Typically a bolt that is used in that application has a angle you turn it after jointing torque. Bolts that have a one shot torque measurement are usually reusable. I've never seem them listed as TTY. I know this quote is stating head bolts, but still applicable. How can you tell TTY head bolts from ordinary head bolts? TTY head bolts are typically longer and narrower than standard head bolts. Factory service manuals will tell you which applications use TTY bolts, and you can often tell from the head bolt tightening procedure if the bolts are TTY or standard. TTY bolts typically have an angle tightening specification rather than a specific torque value (which requires using an angle gauge when tightening the bolts). Last edited by Braymond141; Tue, May-16-2017 at 09:24:37 PM. Both the TIS and the Bentley manual state to use new bolts. Your call. I don't reuse them, but many people do and even retailers like UUC say to reuse their bolts. If you do, a thread sealant is needed. Red loctite is actually a widely popular choice as well (done it many times on my S52 when running a SM flywheel). I need a new bolt to judge if these are stretch or not (I'm thinking no). Last edited by Braymond141; Thu, May-18-2017 at 12:10:12 AM. "Apply some anti-seize on the 16mm hex bolts before putting them back in. Torque the bolts down to 110 nm." Torque the bolts down to 67 nm." 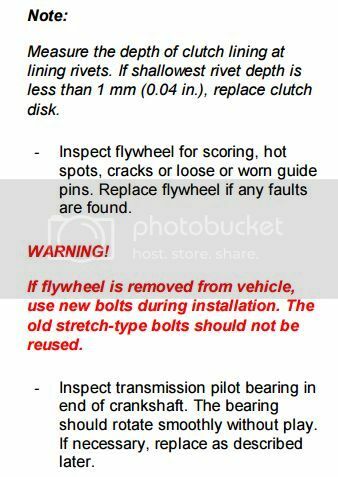 Front carrier retaining bolts: 81 ft-lb (110 Nm)"
Can someone with a Bentley manual triple-check this information and confirm? Then we can get the PDF updated so that no one strips (or breaks!) a rear carrier bolt. Flow u the MAN (or WOMAN, all the same to me )! Downloaded and subscribed. How can I donate to You for Your awesome work? All times are GMT. The time now is 01:40:32 AM.